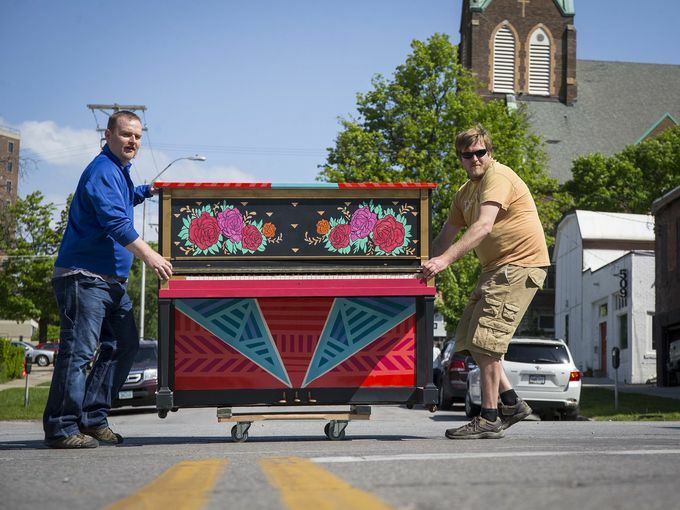 City Sounds is thrilled to announce the 12 artists selected to paint the 2019 pianos! Pictured above are are artists Hannah Claire, Monica Cohen, Maddy Fusco, Iven P Jones, Amber Hathaway, Katelyn McBurney, Ted Lyddon Hatten, Trey Reis, Mujo Ramic + Theresa MAcdonald, Momentum: A Community Support Advocates Program, Sue Weiser Penn Wood, and Mary Roth. We’re excited to reveal that the 2019 season will welcome two new locations! The newly constructed Kum & Go Headquarters at 1415 Grand Ave. It’s unique beauty sits on the edge of the Western Gateway park. Also joining the family is Captain Roy’s at 1900 Saylor Road. You’ll love the low-key patio atmosphere, food, live music and sunset view over the Des Moines River. Community Support Advocates offers a unique program which features artists living with a disability, brain injury, or impacted by mental illness. The Momentum Art Program has been able to get participants to dream big while they experiment with art in a safe and supportive space. This project seeks to generate a greater understanding of mental health and disability within our community. • Estimated 40k+ visitors to the pianos for the 2018 season. • Received our largest ever Iowa Arts Council Grant. • Collaborated with the Central Iowa Blues Society to have a mobile piano at their 2019 Winter Blues Festival. • Held our first Piano unveiling Party at Mainframe Studios where all the pianos (including alternates) were introduced to the public and we awarded a “People’s Choice” to the artists who’s piano received the most votes at the event. • Welcomed our first out of town artist, Brent Houzenga from New Orleans, to paint a piano. • Welcomed three new members to the City Sounds Board. Want to see more? Check out our galleries from previous years! 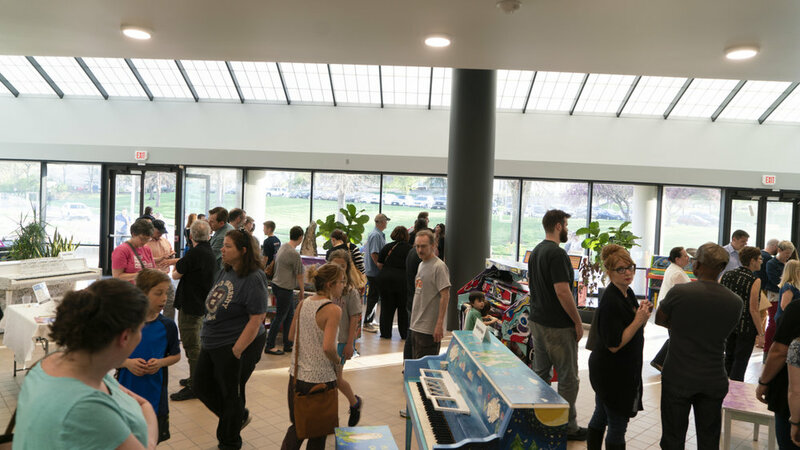 MISSION: City Sounds strives to transform the Des Moines community culture through music, animating common spaces and making artistic creation accessible to all.